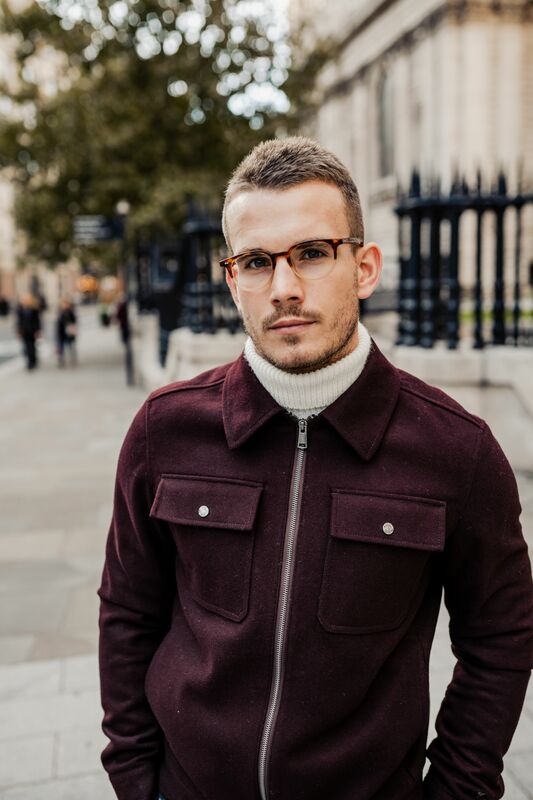 It is officially time to upgrade your wardrobe with a few trusty roll necks, the ultimate base layer for cold weather and they always look slick. 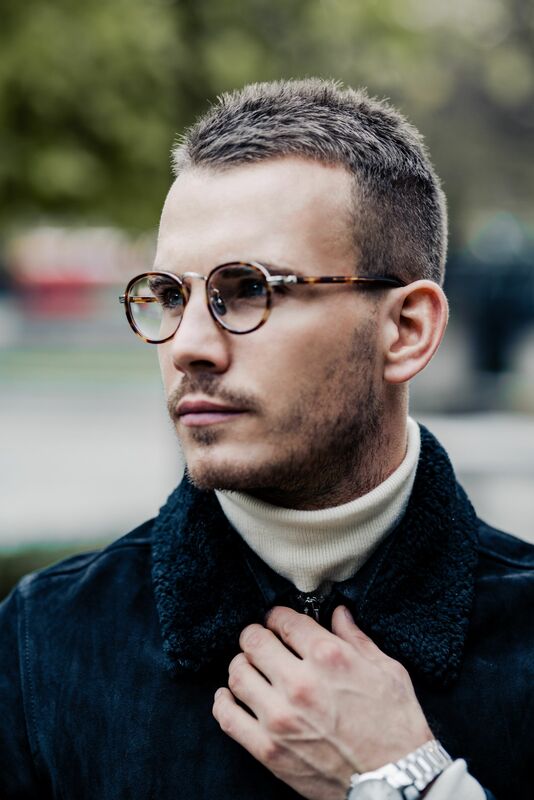 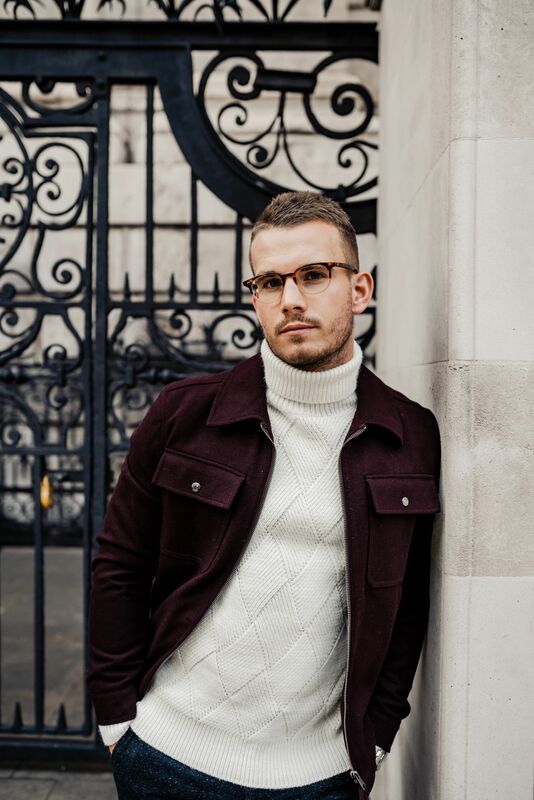 The roll neck has fast become a modern wardrobe staple with all the comfort of a crew neck, but with the added benefit of being considerably smarter and a tad warmer! 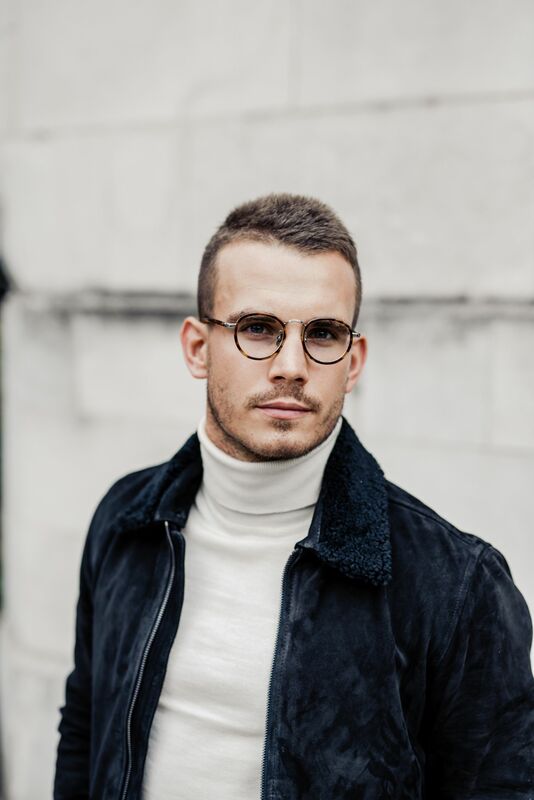 Don’t let this sudden cold weather hold you back, if you plan your outfit properly and incorporate some solid layering you’ll still be toasty on even the chilliest of mornings, with the help of a trusty roll neck. 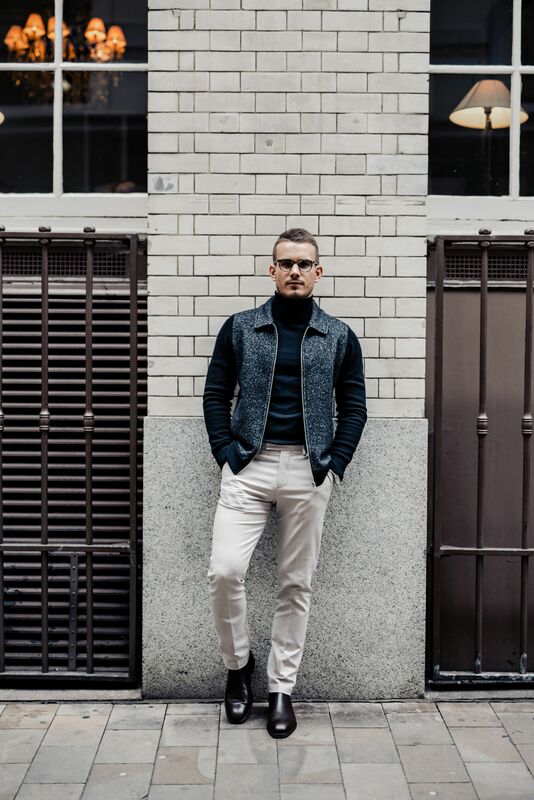 Lightweight and form-fitting, a classic merino roll neck is the ideal piece to slip beneath a whole wardrobe’s worth of cold-weather staples. 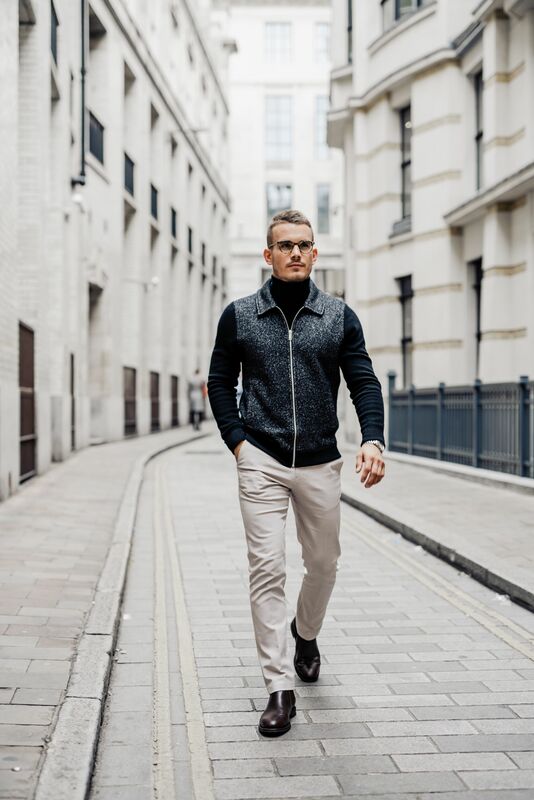 Smart enough to substitute for a formal shirt, particularly in temperature-regulating and breathable merino wool, it also looks just as good worn under a lightweight over-shirt or jacket for a seriously smart get up that will keep you comfy whether that’s at the office or on the move. 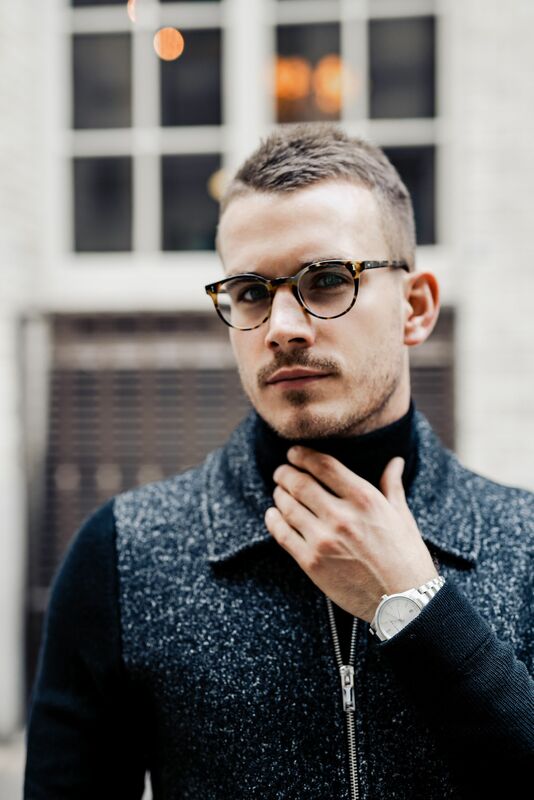 A chunkier roll neck is ideal for particularly chilly mornings and will allow you to stay toasty in the worst possible weather. 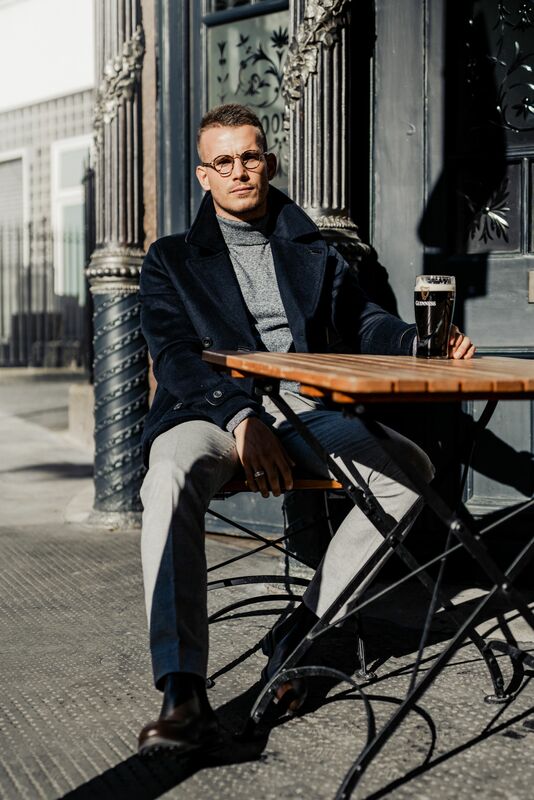 The undisputed king of insulation, a thick wool knit in a waffle or cable knit design is perfect for a chilly commute or when pounding the pavements at the weekend, especially when slipped under a thick wool over-shirt or peacoat. 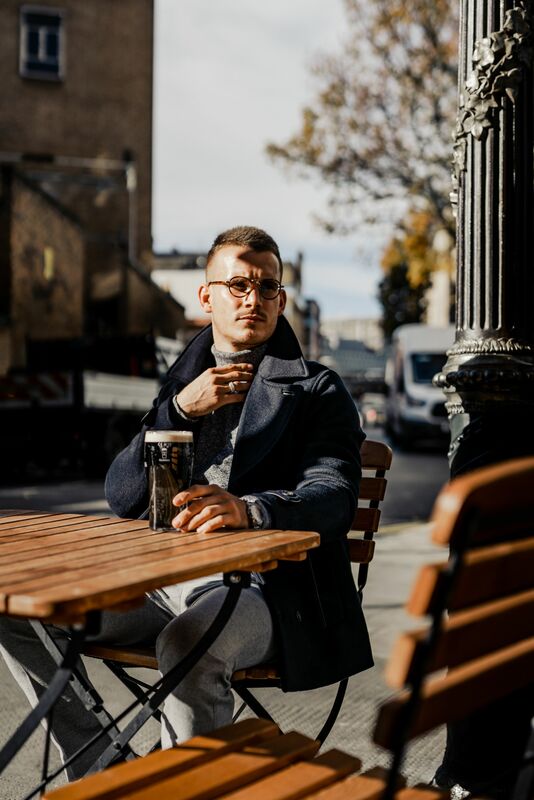 Look for something patterned to add some extra detail to your outfit and take it to that next level. 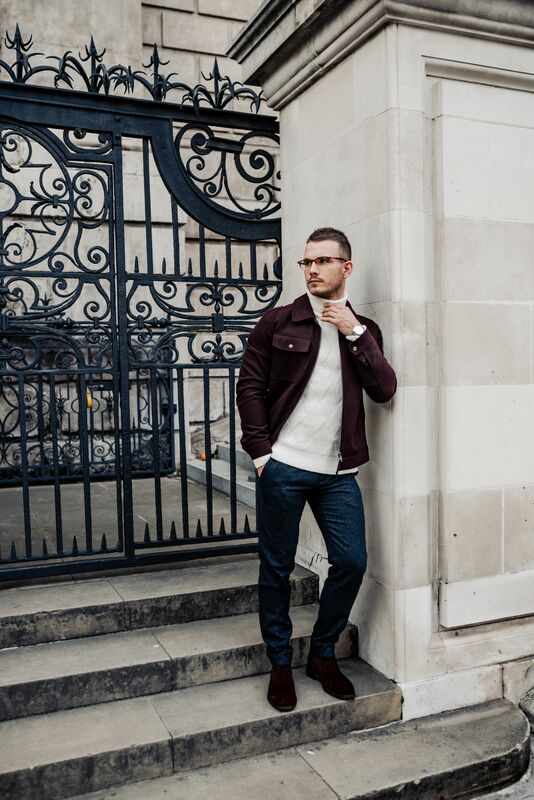 Sometimes style and practicality are tricky to balance and that finding something that a) looks half-decent and b) is genuinely easy to wear is rather challenging. 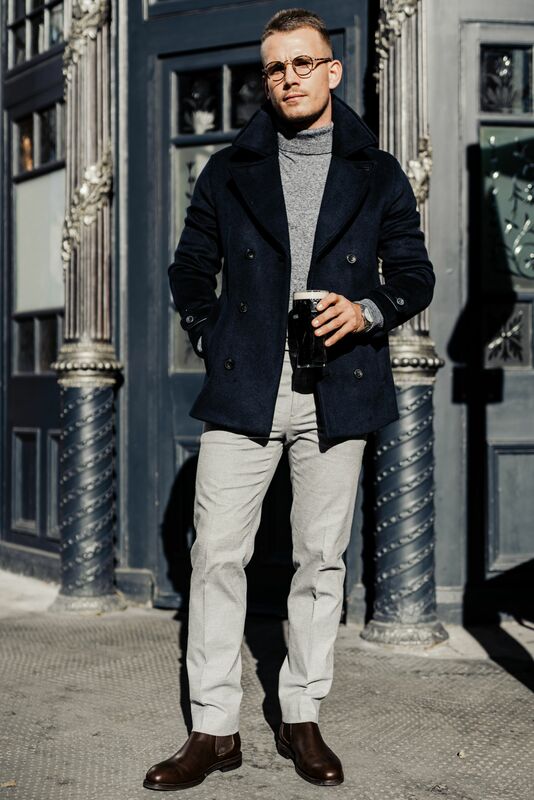 However, when worn under an overcoat, a roll neck is an excellent way to brave low temperatures in high style, no matter the occasion. 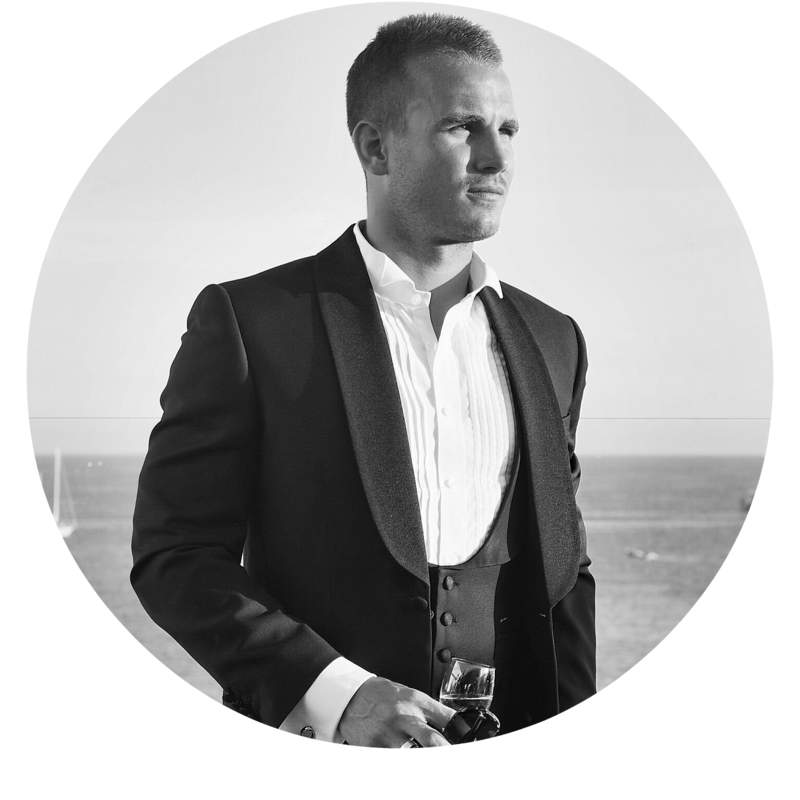 The perfect combination for an afternoon watching the rugby or with friends down the local boozer! 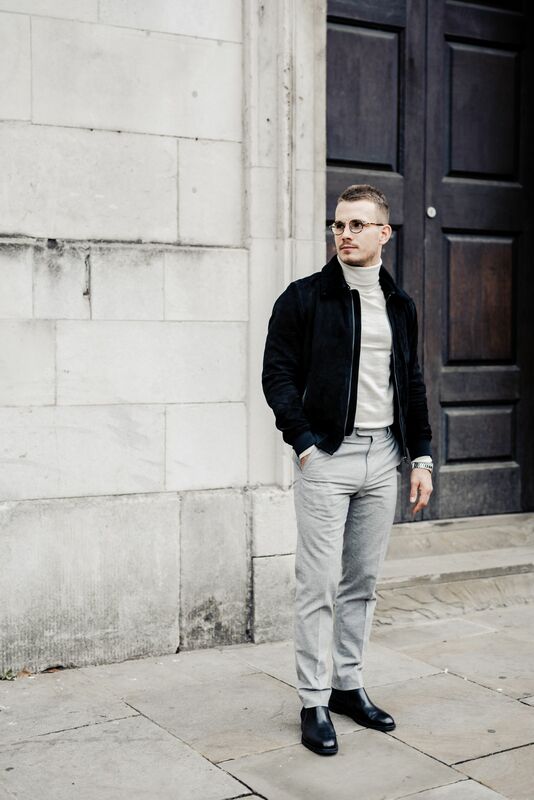 To amp up the testosterone further, layer a neutral roll neck under a leather jacket or dark suede bomber and finish with tailored trousers for a look that can fly in all scenarios, whether in the office, out at meetings, or when out and about at the weekend. 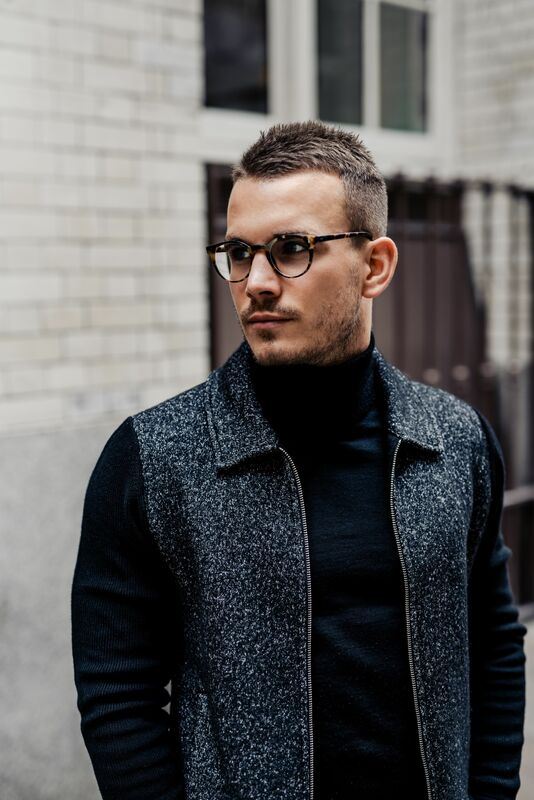 How do you guys like to style out the classic roll neck?